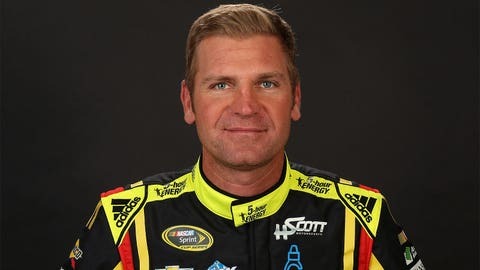 Clint Bowyer spent the past four years at Michael Waltrip Racing. Clint Bowyer has an additional primary sponsor for his lone season at HScott Motorsports. Bowyer, who is on loan to the Harry Scott Jr.-owned team before taking over the No. 14 car of Stewart-Haas Racing in 2017, will drive three of his 36 points races for HScott in a Visine-sponsored Chevrolet. The driver who spent the past four seasons at Michael Waltrip Racing used Twitter to confirm the news, which was first reported Monday by NASCAR.com. 5-hour Energy, Bowyer’s main primary sponsor during his time at MWR, will be on board Bowyer’s No. 15 car for 24 races in 2016, as previously announced.